The Deputy Provost for Teaching and Learning, Scott Strobel, invites faculty at Yale to take part in Faculty Bulldog Days each semester. Faculty open their classrooms to their peers in the spirit of making teaching more public. This presents an opportunity to observe the wealth of deep knowledge addressed in our classrooms every day and to become more engaged in our community of scholars. 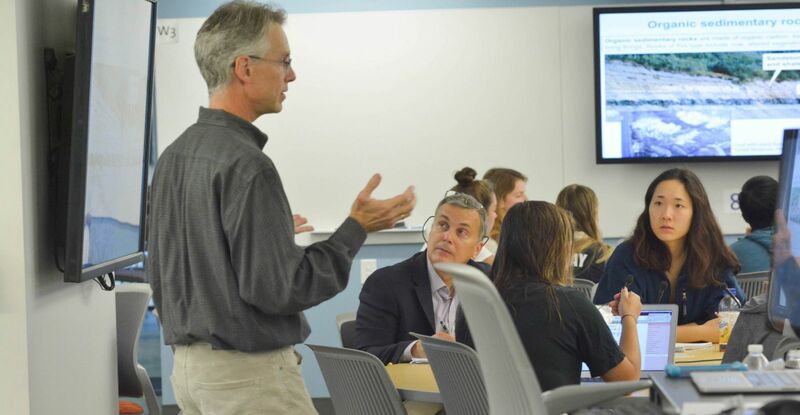 The Poorvu Center for Teaching and Learning reaches out to all faculty (including faculty in Yale’s 12 professional schools) several weeks before Faculty Bulldog Days (FBD) and invites them to open their classroom for one day during the week of FBD. After confirming the open classes, the Poorvu Center opens a registration portal and invites all faculty to register to attend one or more of the courses. A couple of days before FBD, the Poorvu Center sends an email to those that registered for classes and those that opened classes to connect each of the participants with the faculty member who opened their classroom. During FBD, faculty attend the classes of their peers. They might take an active role in discussion or they might choose to quietly observe; it is completely up to each person. Explore a new discipline or attend a class across campus to interact with colleagues that you might not see on a regular basis. You’ll learn a lot from experts in their field and you might consider adapting an exercise or seminar format for your discipline. Participants and hosts are encouraged to speak after class and discuss teaching at Yale. If you have not taught in front of your peers, consider opening your classroom for the first time! 88% of people were moderately or extremely satisfied with their overall Faculty Bulldog Days experience. 76% of people were moderately or extremely satisfied with the process of informing administrators about opening up their class. 82% of people were moderately or extremely satisfied with the process of signing up to observe a class. At Faculty Bulldog Days, the emphasis will be on sparking a cross-pollination of teaching excellence. For its second edition, the event expanded beyond the Faculty of Arts and Sciences to include faculty from the School of Management and the School of Forestry & Environmental Studies.